Fresh Oyster Release this Saturday! Are you an oyster fan? You don’t have to like to eat them to appreciate their beauty. 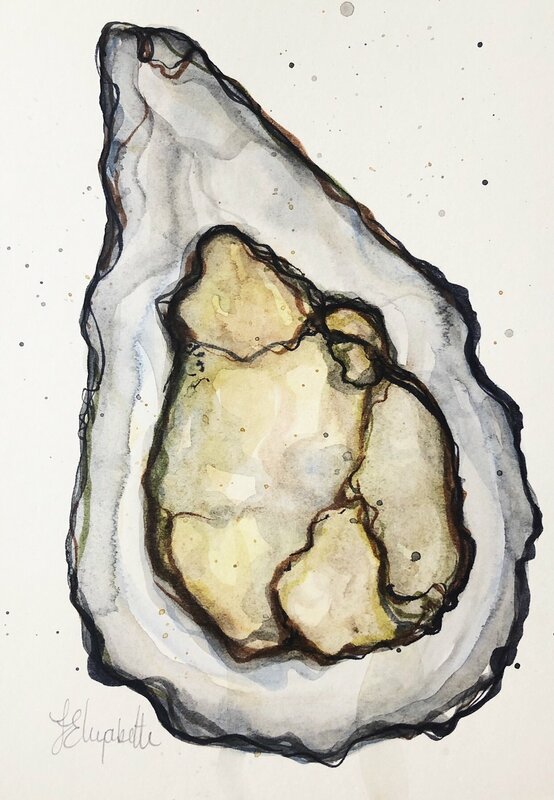 I’ve taken unnatural and unique color schemes and redefined my interpretation of an oyster. What do you think? I will be at McClintock Distillery this Saturday from 2-4 with several framed, matted, and large canvas pieces for your home. Juuuust in time for Valentines Day too!